Brilliant! 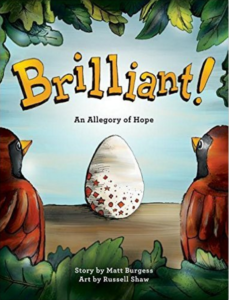 is a children’s book packed with symbolism that revolves around a parent’s hope that their child will become a better version of themselves. Perfect with adoptive and fostering families without being blatantly obvious. The hardback version includes author’s notes describing the symbolism so that readers can appreciate the subtle purpose of the story with each reading. Learn a thing or two from my fun book called Skylar and George Washington. 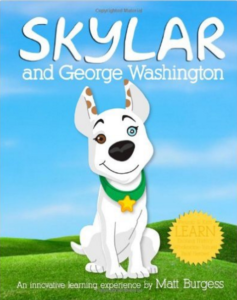 My dog, Skylar, takes readers on an adventure through the entire life of the greatest American hero, George Washington, with animated characters set against real photography. Each spread features a rhyming story line for children with extra detailed information for advanced readers. My wife, Kimber, and I adopted two children from China and one from India. 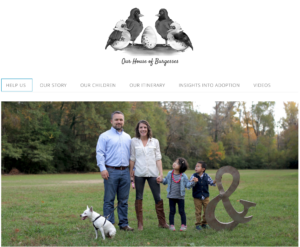 For people interested in adoption, we have made helpful information, pictures and videos available at Our House of Burgesses. In 2016, our family invested in a 1958 retro red Shasta Airflyte Deluxe to enhance our camping trips and make memories. 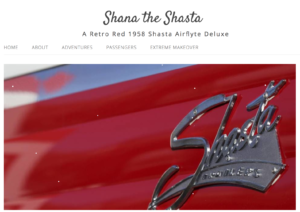 We are chronicling adventures at Shana the Shasta. 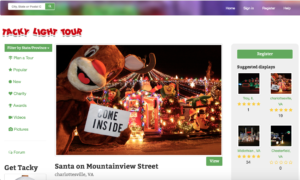 In 2005 I created a website for Richmond’s Tacky Light Tour. It almost immediately became the premiere, online source for Christmas light displays. It has been featured on The Learning Channel (TLC), Real Simple, Fox News, NPR and more.